Advance your knowledge of the vedic literature and enhance your transcendental experience. Accelerate your growth toward higher states of consciousness as described by Maharishi Mahesh Yogi ? 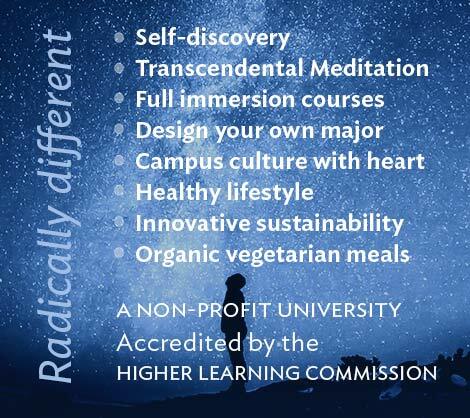 Each course will be experiential, based on your reading of the Vedic Literature for its sound value. You will have the effects of your reading evaluated objectively by the Center for Brain, Consciousness, and Cognition ?. You will enjoy videotaped talks by Maharishi on the Vedic Literature. 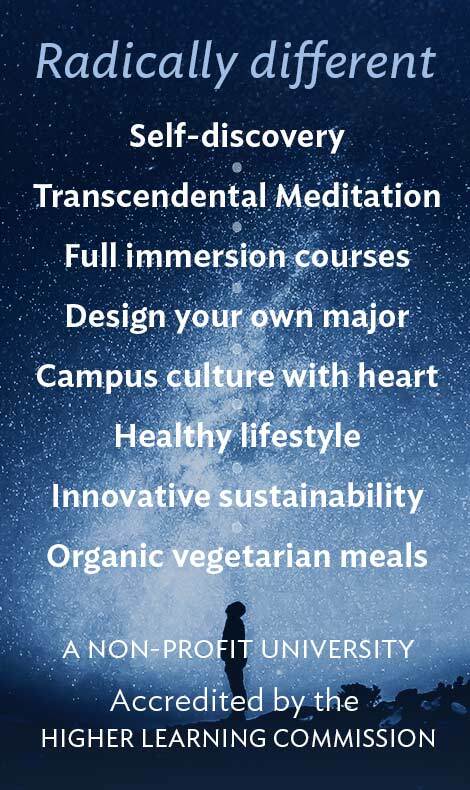 Classes on Saturday afternoons will allow you to participate in extended morning meditation, to serve as an MUM Intern, to work, or to engage in other activities. If you practice the TM-Sidhi program ?, you will participate in the extended program on Saturday morning, and then everyone will enjoy class on Saturday afternoon. In the Saturday class you will read the Vedic Literature as a group and listen to Maharishi’s videotaped lectures on the Vedic Literature. You will also study the research of Dr. Tony Nader on the human physiology as the expression of Veda and the Vedic Literature. As homework each week, you will spend 6 hours reading designated sections of the Vedic Literature in Devanāgarī and keep a detailed ‘Journal of Experiences’ based on your reading. The length of each course is 12 weeks. You will take three courses each year and can complete the MA in 3½ years. Financial aid is available for eligible students. US citizens or permanent residents seeking financial aid should file the FAFSA, selecting the MUM school code 011113. To contact our financial aid office, email finaid@mum.edu or phone 641-472-1156. If you are a student in need of financial aid, we offer internships while pursuing this degree. In this option, you will be placed in an administrative or academic position on our university campus. The full intern package includes tuition, on-campus housing, meals, health insurance, and a monthly stipend. Please note that the intern program requires a separate application form.